Nick Reilly aims to return GM's European unit to profitability by 2012 while facing the continent's sales hangover. When it comes to sorting out the dual challenges of an imploding European market and the post-bankruptcy world at General Motors Co., few executives have had more experience than Nick Reilly. Reilly was appointed president of GM Europe seven months ago, following GM's decision to keep its Opel/Vauxhall subsidiary rather than sell the brands to Magna International. Reilly will be the dinner keynote speaker June 22, at the Automotive News Europe Congress in Bilbao, Spain. The event runs June 22-23. With responsibility for all operations of Opel/Vauxhall and other activities in Europe, such as Chevrolet Europe, Reilly is faced with returning the European division to profitability by 2012 while battling the continent's post-scrappage sales hangover. 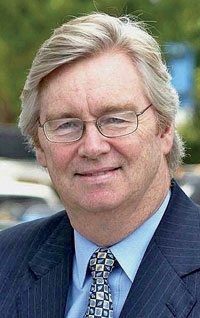 Few GM executives have more experience than Reilly, who has been a GM executive vice president and president of GM International Operations and chairman of both GM Daewoo Auto & Technology Co. and Shanghai GM. In Bilbao, Reilly will join a long list of high-profile industry speakers to address the theme "Solutions After a Crisis: Navigating out of a European Downturn." Discussion topics include finding solutions through technological advances and environmental alternatives; making the right decisions after a crisis, including capacity adjustments and competition; and opportunities through collaboration for automakers and suppliers.